Ottawa Art Gallery and Asinabka Film and Media Arts Festival present an outdoor screening highlighting Indigenous filmmaking from the Arctic. Experience a continuous looping program of short films by Inuit and Sámi filmmakers projected on a screen made of snow this Friday and Saturday at Lansdowne Park, outside the Horticulture building and again February 18th inside Gallery 101. Presented in partnership with the City of Ottawa, the Embassy of Finland, Gallery 101, the Ottawa Inuit Children’s Centre, Skábmagovat film festival (Inari, Finland), and Winterlude. La Galerie d’art d’Ottawa et le festival Asinabka Film and Media Arts présentent une projection extérieure de Unikkaaqtuarniq: Contes du nord, une série de courts-métrages qui mettent en lumière des cinéastes autochtones inuits et sames de l’Arctique. Vivez une expérience unique en regardant cette projection qui jouera en boucle sur un écran fait de neige ce vendredi et samedi au parc Lansdowne, en dehors du bâtiment de l'horticulture et encore le 18 février à l'intérieur de la galerie 101. Présenté en partenariat avec la Ville d’Ottawa, l’ambassade de Finlande, la Gallery 101, le Ottawa Inuit Children’s Centre, le festival de films Skábmagovat (Inari, Finlande), et Bal de Neige. Storytelling is an ancient form of magic, with the power to connect the past with the present, teach lessons, impart values, heal, to explain the world and connect us to the universe through language and mythology. The stories in this program come from the Inuit people of Canada and Sami of northern Scandinavia, Indigenous people who have thrived in the Arctic regions of the world for thousands of years, sharing stories inside the Sami lavvu and Inuit tupiq, enduring the changing seasons of dark and light, of colonialism, of climate change. Although these cultures live thousands of kilometres away from each other, they share a common history of resilience in their language, culture and magic through storytelling. The mandate of the Asinabka Festival is to present an annual Indigenous film and media arts festival in the Nations Capital that allows independent artists - national, international, Indigenous, non-Indigenous - to share, present, and disseminate their work. The Asinabka Festival aims to highlight works that examine Indigenous issues and topics; to support media artists and filmmakers; to promote Indigenous cultures and languages; to educate people about First Nations, Métis, and Inuit issues in Canada, and about Indigenous issues internationally; to provide a space where Indigenous peoples can tell their own stories and see their own cultures reflected back at them; to entertain, to be innovative, and to present the best in Indigenous film. Inspired by the work of Pudlo Pudlat, this stop-motion short tells the story of a male owl, driven by hunger, as he goes in search of food in a late-spring snowstorm – but in his pursuit he may have met his match. Award-winning stop-motion artist Mosha Folger is an Inuk writer, director and performer. He is originally from Iqaluit, Nunavut and now lives in Ottawa, Ontario. Neil Christopher is a screenwriter, director and producer. For his authorial film and literary works he uses themes from Inuit myths and legends, which he's dedicated many years to their research. His filmography includes the short animated works Amaqqut Nunaat: The Country of Wolves (2011), The Orphan and the Polar Bear (2013) and The Amautalik (2014). The director is the co-founder of the production company Taqqut Productions. A thought-provoking meditation on the seal-hunt and what it means to the traditional way of life for the Inuit. Starring the charismatic Inuit singer-artist, Tanya Tagaq, produced by Zacharias Kunuk, Norman Cohn and Stéphane Rituit, directed by Félix Lajeunesse, Isuma’s first computer-generated video mixes live action and computer animation. 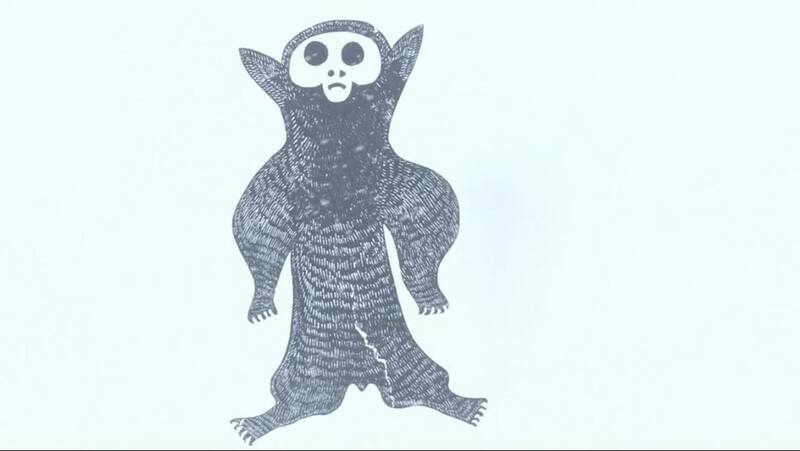 Tungijuq is a cinematic and musical expression of the organic and indisputable reality of hunting in Inuit culture. A story in three parts, and three languages. Geronimo Inutiq an accomplished artist specializing in electronic music production, deejaying, as well as digital image and video production. Having been exposed to strong traditional Inuit cultural elements in his youth, as well as the worlds of modern art and broadcast through close members of his kin, his work has been featured and performed in the Museum of Civilization of Quebec; Beat Nation; transmediale and club transmediale festivals in Berlin; Material Experiments at ImagineNative 2015; the ARCTICNOISE project, Contemporary Native Art Biennial in 2016 and Asinabka’s media arts exhibition at Gallery 101, Ottawa. Referencing an old Sámi myth, we find a woman wandering through the mountains in the Kola Peninsula, a landscape marked by the mining industry. Encountering an unexpected friend, she attempts to make a hospitable offer in this dreamlike story commenting on ecology, past and present. Marja Helander pursued her interest in photography and graduated from the University of Art and Design in Helsinki in 1999. Since then she has presented works in solo- and group-exhibitions both in Finland and abroad. Helander’s work explores the question of identity with regards to her Sámi background. She works with photography, video and installation. This brutal and beautiful children's fable succeeds to take us into the world of the tangled up and hurt mind of a big sister, and to show what consequences parental ignorance in a hectic everyday life can have for little brothers. Sara Margrethe Oskal was born in Kautokeino, in a herding family, but has decided to become a storyteller. She took her MA in acting at the Theatre Academy in Helsinki, her PHD in performing arts at Oslo National Academy of Arts. The music video for the Sami singer Hilda features contemporary music and the “joik”, a form of traditional Sami chanting or singing. Amanda Kernell was born 1986 in Umeå in the north of Sweden. Her roots are in two cultures due to her Swedish mother and her Sámi father. Since 2006, Kernell has directed several shorts including SEMESTERSYSTERN (The Holiday Sister/ My Summer Holiday Sister) and ATT DELA ALLT (Sharing All). Copyright © 2017 Gallery 101, All rights reserved. You are receiving this promotional email regarding Gallery 101 events and exhibitions because you are a past supporter, member, or other interested party.